Big crowds gathered along the route of the train taking President George H.W. Bush on his final journey. The Bush Funeral train is the eighth funeral train in U.S. history and the first since Dwight D. Eisenhower’s body 49-years-ago traveled from Washington D.C. through seven states to be buried in his Kansas hometown of Abilene on the grounds of his namesake Presidential Library and Museum. President Eisenhower’s Honor Guard in Abilene, April 2, 1969. Photos courtesy Eisenhower Presidential Library and Museum. Abraham Lincoln’s funeral train was the first, back in 1865. 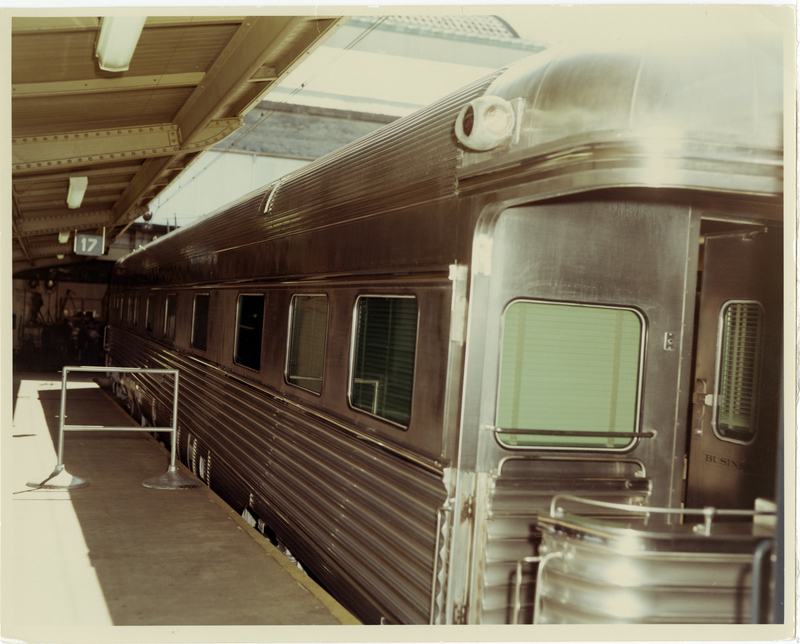 According to the Eisenhower Presidential Library and Museum, Ike was the last president to travel by train regularly. His wife Mamie Eisenhower did not like to fly. During the his 1952 campaign, Eisenhower traveled more than 51,000 miles and made 252 stops. 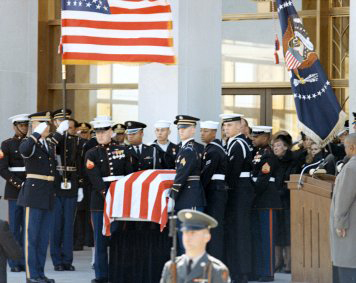 Funeral of Dwight David Eisenhower – Washington, DC. March 29, 30. 31, 1969. Photos courtesy Eisenhower Presidential Library and Museum. Union Pacific engine 4141 will carry the former president’s flag-draped coffin for around 70 miles from suburban Houston to College Station. It’s in College Station that the 41st president of the United States will be buried, alongside his late wife and their daughter Robin, on the grounds of the George Bush Presidential Library and Museum on the Texas A&M campus.